OPPOSITION Leader Don Polye yesterday welcomed the move by the government to introduce a supplementary budget for this year. “I have been calling for a supplementary budget. The Opposition welcomes the plan. “However, the budget has lost its utility, given that the prime time for project implementation is about to lapse and the preparation for the next budget is only months away. It should have been introduced earlier,” Mr Polye said. He was commenting on the indication by the Treasury Minister Patrick Pruaitch to introduce one. 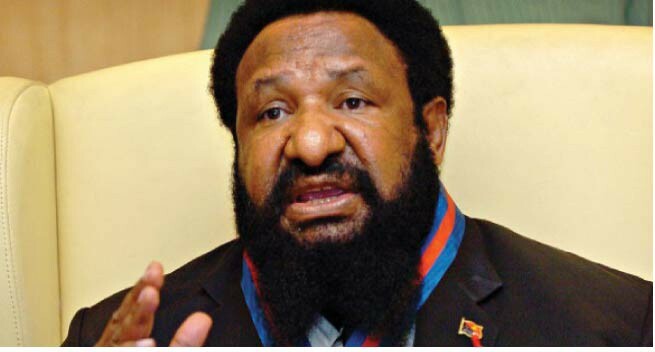 Polye said the government had given deaf ears to the call for a supplementary budget by experts and the Opposition. “They seem to think that that we are playing politics but we know what we are saying with the country being at our heart,” he said. Polye referred them as ‘waste’, saying the government should concentrate on improving the deteriorating state of the current facilities in the universities and hospitals. “When we are in government, we will prioritise our expenditure when handing down mini budgets and cut down funds on unnecessary projects which are for political expediency. “We will invest heavily in agriculture and tourism sectors,” he said.